Kalachuvadu is delighted to publish a collection ancient Chinese poems in Tamil, the first ever direct translation from Chinese to Tamil. 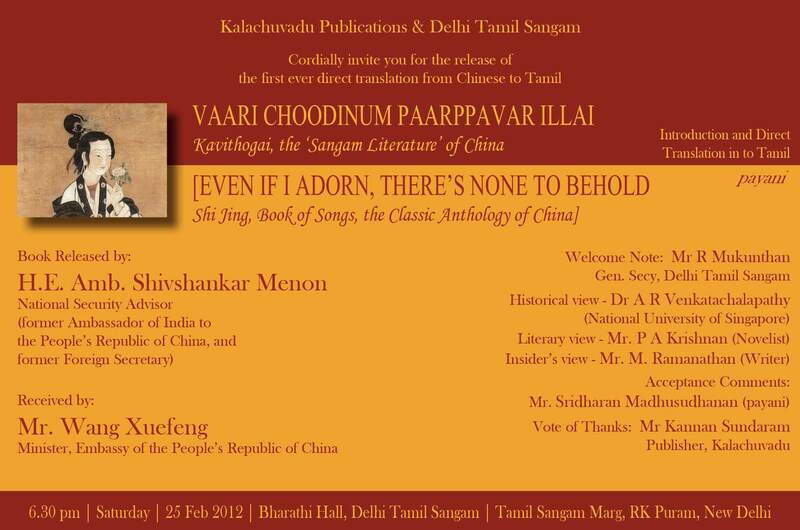 We are releasing the book on Feb 25th evening in Delhi Tamil Sangam . The proceedings of the meeting will be in English. Find the invite attached. Please come to the event.